Boehner Spares Colleagues a Fight—But Did His Antagonists Win? 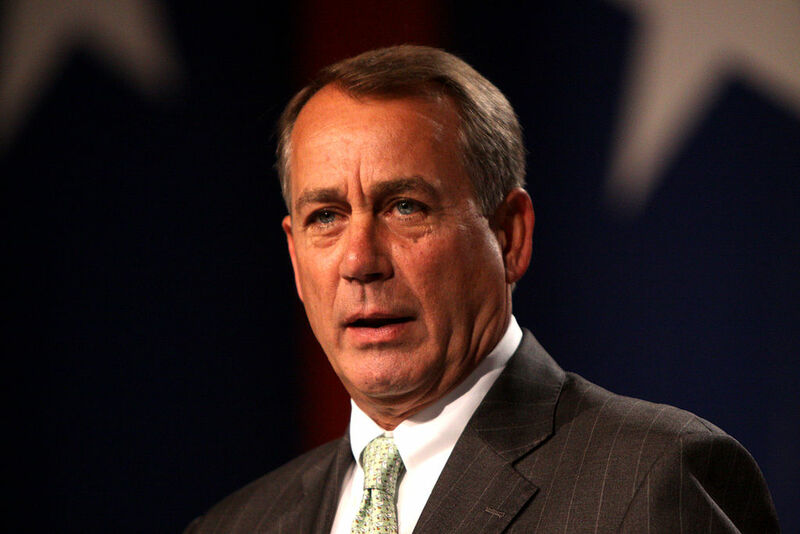 Last Friday, Speaker of the House John Boehner announced his resignation, effective October 30. Members of the very conservative wing of the Republican Party in the House had been pushing for a change in leadership for months and even years. At the beginning of the 113th Congress (2013-2015), 10 Republicans voted for someone other than Boehner or voted “present”. At the beginning of this Congress (2015-2017), 25 Republicans did the same. At the end of July, Representative Mark Meadows of North Carolina filed a motion to vacate the chair, which, if successful, would have stripped Boehner of the Speakership. In the face of this unrest, Speaker Boehner decided he could serve the House best by not serving at all. “But it’s become clear to me that this prolonged leadership turmoil would do irreparable harm to the institution”, he said in a press conference shortly after he told his Republican colleagues of his intent to resign. The extreme conservatives have what they wanted. Now let’s see what they do with it. We told the people, ‘Give us the Senate, and things would be different.’ We told them back in 2010, “Give us the House, and things will be different.” Things are not that different. We’re paying more attention to worrying about polls and who is getting blamed for a shutdown or more attention to the filibuster rules in the Senate than actually helping people and doing what we promised we would do. Representative Mulvaney and his conservative colleagues want what our constitutional system will not provide. The accomplishments of President Barack Obama and the Democratic 111th Congress (2009-11) represent not just two years of work, but decades, since they were the next steps in the progressive agenda dating back to Franklin Delano Roosevelt’s New Deal. It’s a practical impossibility to strip back decades of ideas in two, four, or even six years—especially since a majority of the majority party, let alone a majority of Americans, does not support the far right. If any on the far right believe an undisputed majority of the country is behind them, they need only look at the results of the 2012 elections where President Obama was reelected and where the Democrats picked up two additional seats in the Senate, all despite a miserable economy. Besides, what many people fail to recognize is that, as a consequence of the 2008 election, the Democrats achieved the very rare governing trifecta. That is, they controlled the Presidency, the House, and a filibuster-proof 60 votes in the Senate. This has only happened three times since World War II – 1965-67 when Lyndon Johnson was President, 1977-79 when Jimmy Carter was elected, and 2009-11 when Barack Obama first won. Such control normally allows a party to push their legislative agenda through like a parliamentary majority in a European country. Johnson pushed through the Civil Rights Act, the Voting Rights Act and Medicare (though it should be noted he did it with bipartisan consensus on all three issues). He also pushed through much of his Great Society expansion of Federal programs and an escalation of the U.S. involvement in the Vietnam War. Carter was not so effective – and struggled to get along with his own party – vetoing 31 bills the Democratic Congress passed. And as we know, President Obama pushed through major changes like the Patient Protection and Affordable Care Act (Obamacare), Dodd-Frank, an $800 billion economic stimulus, and a host of other liberal legislation. While the partisan nature of these changes helped bring about a Republican House in 2010, the Republicans never gained anything like the governing trifecta President Obama passed those programs with. In fact, under the Constitution, while President Obama remains in office, it would take two-thirds of both Chambers of Congress to repeal anything over his objection. And Republicans haven’t had those kinds of numbers since the period following of the Civil War. If the conservative wing of the Republican Party would like to score major victories against the Democrats and not just their party leaders, they need either veto-proof majorities in both Chambers of Congress or to control the White House and both Chambers of Congress. The party could pick up the White House in the next election and nuke what is left of the filibuster and then legislate away. However, even then, they still run the risk of doing too much, too quickly. Just ask the Democrats, who lost the House after only two years of united government. The Founders were afraid of activist government and made change difficult to achieve except in rare circumstances. Their goal was to allow change by consensus – where both the political majority and political minority worked together to advance incremental changes. Our system can be frustrating at times, and has even resulted in long-delayed justice in our historical past. But, like it or not, the Founders did not intend for change to be easy. If the conservatives want to really make headway against big government, they need to put in the hard work of educating their fellow citizens until a critical mass supports their political philosophy. This is especially true, because Gallup has shown that the number of self-identified liberals has grown steadily, albeit slowly, since 1992. It won’t be easy, but that’s the only way to do it. And no amount of political intrigue within Congress can replace it.